I love to read books that explore affectionate marriages and Valentine’s Day seems an appropriate day to celebrate them. So many novels and plays seem to assume that romance and even love fade as soon as the honeymoon is over. Back from the honeymoon? Time for the adultery to begin! What a sad world it would be if that were true. But real life – daily interaction with many happily married couples – has proven to me that it is not the case. 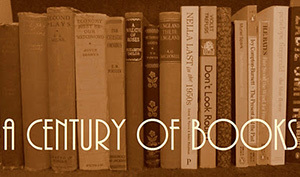 And when it comes to books, long-standing relationships always provide more fascinating and complex material than courtships which last only a few years or months. The day-to-day challenges of maintaining a relationship, of working to sustain it through those years when work and children demand your attention and exhaust your patience, as you yourself change through the decades – how could that not be more interesting than a simple marriage plot which always ends at the altar? A Civil Contract by Georgette Heyer – Heyer’s best novel, the story of a marriage of convenience between a viscount and a wealthy merchant’s daughter who come with time to realise the value of quiet, steady, companionable love. Two-Part Invention by Madeleine L’Engle – L’Engle’s touching memoir of forty years of marriage, written while her husband was dying. Dear Octopus by Dodie Smith – a wonderful play about a very entertaining family celebrating the 50th anniversary of the blissfully happy and resolutely optimistic parents, Charles and Dora. The Laskett by Roy Strong – a very personal memoir of a close marriage, cleverly disguised as a gardening book. This is a beautiful post. 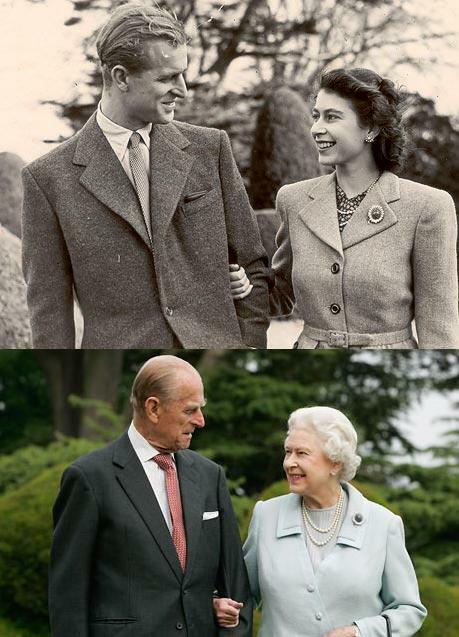 Thank you for sharing the picture of Queen Elizabeth and Prince Philip. It’s one of my favourite pairs of photographs of them. Thank you for sharing the books too 🙂 I definitely want to read them now. My grandparents have been married for 56 years this July and because of their marriage and my parent’s marriage I have faith in the institution of marriage. What a charming pair of photos, and what a charming pair. What a lovely post! As one of the long-term “happily marrieds”, I sincerely thank you for the nod of approval. Often, in fiction, marriage-gone-all-wrong proves a handy plot device, but you’re right, there are many positive depictions as well. Thanks for that great list of books! They all sound wonderful and off they go on my TBR list! Wonderful pic and wonderful topic, esp. for the day. We’ll be celebrating 22 years in June, and I have to agree that the bleak outlook of many modern novels always strikes me as way off base. Glad that my children will have a different point of view – as you have had. Such a lovely idea for a post, Claire! Whenever I try to think of happy marriages in fiction, I can only ever remember Greenery Street – it’s nice to have reminders about others in fact and fiction. No personal experience with being happily married for a long time, but my parents were married for 50 years and still twinkled when they were together. I love the affectionate photos of The Queen and Prince Philip. So sweet. The one by Madeleine L’Engle is the one of these I’ve read, but what an excellent book it is! Oh what a sweet portrait of friendship and marriage, Claire. And Greenery Street was one of the first Persephone titles I bought and for some reason still haven’t got around to! I’ve always liked seeing pictures of the royal couple when young, but there’s nothing nicer than seeing them looking so much the same 60 years later, My parents are a few years younger than they are, but they’ll be celebrating their 60th anniversary in August. What a blessing they are for us. I would love to see a review of A Civil Contract which I love best of all Heyer books! When I was on the Heyer list, years ago, I saw that a large number of readers like it best, but another group doesn’t really care for it at all……..
Love your paired photos of the Queen and Prince Philip.